Press – WHERE'S BRENT BEEN? 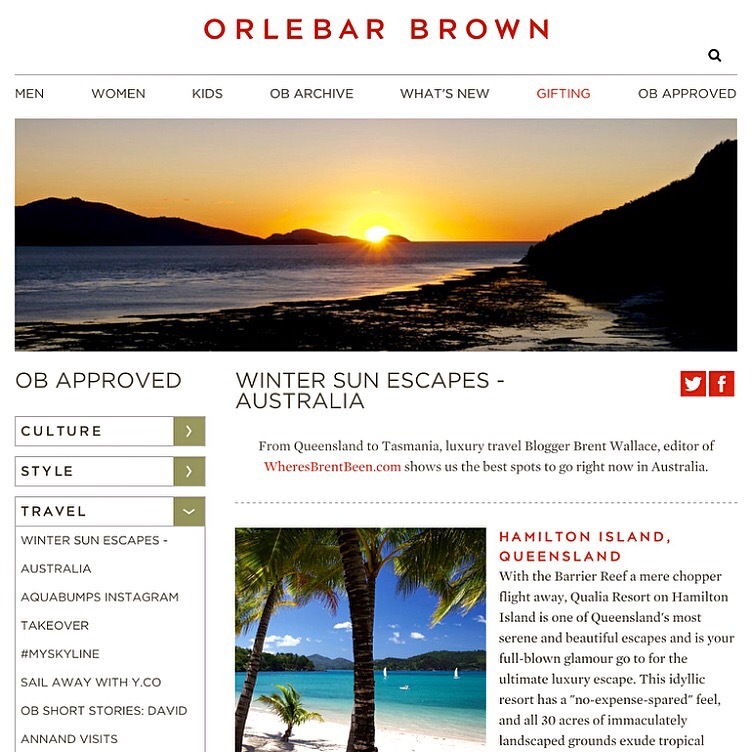 I was asked to contribute to Orlebar Brown and their online OB APPROVED travel section – titled WINTER SUN ESCAPES – AUSTRALIA – Here are my top four sunny Aussie destinations and my pick of what to wear when you are there! One of my very special clients Sam Wagner the creator and owner of the very fabulous fashion chain Sambag shares images of her recent trip to Vietnam and Cambodia exclusively created for her by Brent with Vogue Australia Online It’s all very Where’s Brent Been? style! Jane E Fraser interview , SUN HERALD, published 26th June 2012. 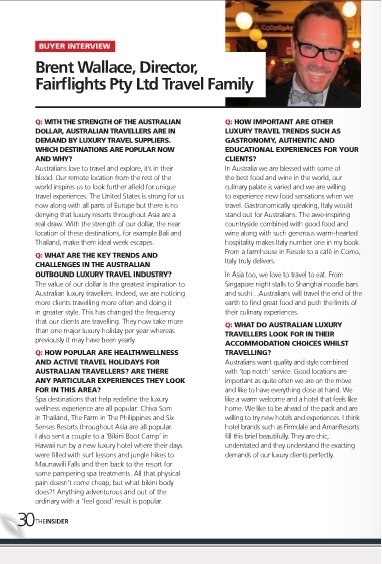 My thoughts on the latest trends in luxury travel.